We know every ticket isn't from the World Series, Stanley Cup Finals, or BCS Championship Game. 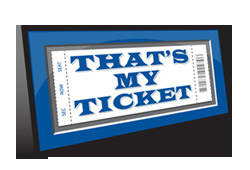 In fact, we know every ticket worthy of a display doesn't come from a professional sports event or major concert. 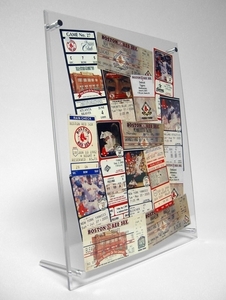 That's why we offer a monstrous selection of All-Purpose Ticket Displays that range in cost from $1.90 to $49.90 each. You are here because you have tickets. Enjoy browsing the stuff listed below and be sure to note that many items feature quantity price breaks. If you have any questions, drop us a call or use our online live support feature found near the top-left corner of every page.